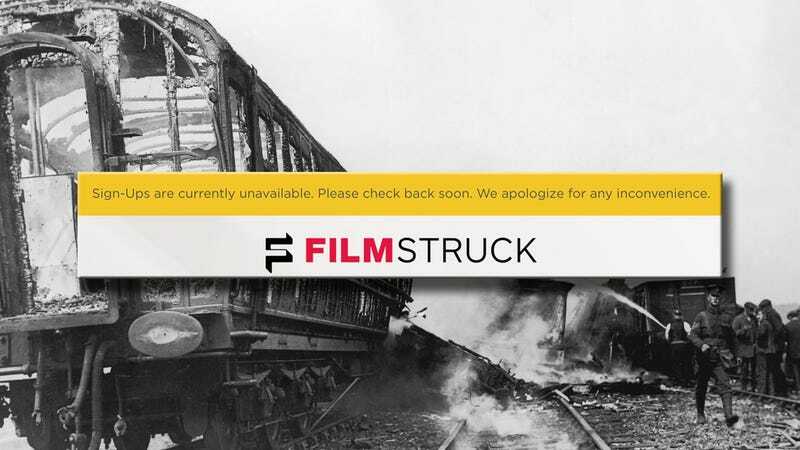 Turner Classic Movies’ new streaming service FilmStruck launched today and immediately broke. With the loss of the Criterion Collection on Hulu, the service was inundated with so many new members, it couldn’t take the heat. As Gizmodo recently observed, Netflix has lost many of its good movies, with the streaming service shifting its focus from licensing other people’s content to making its own. So FilmStruck provided hope for any film buffs who wanted to stream that primo content online. FilmStruck, which appears to be working again after it was down all day, is a partnership between the Criterion Collection and Turner Classic Movies. Its plans start at $7/month, but if you opt to pay $11/month or $99/year, you also get access to the largest collection of Criterion movies available for streaming. So hey, film nerds, get on it!